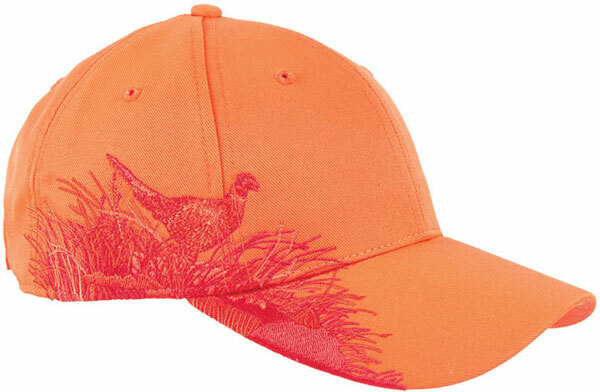 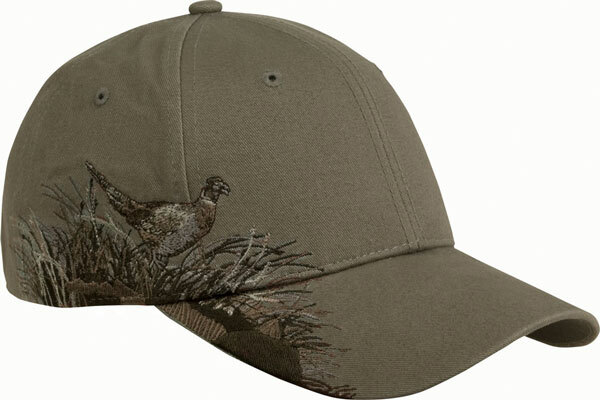 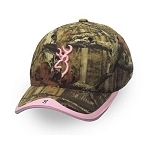 From DRI-Duck Wildlife Series, this cap is beautifully embroidered with a Ringneck Pheasant strutting through the grass. 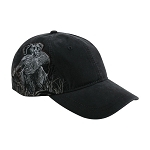 There is no substitute for an original Authentic Wildlife Series hat. 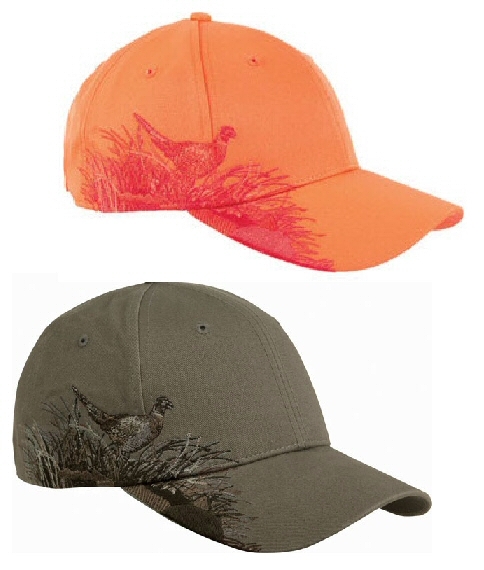 These distinctive and detailed outdoor inspired caps feature a copyrighted embroidered wildlife scene on blaze orange 100% polyester or on taupe colored 100% cotton twill.